In need of a Digital Trophy Case or Digital Hall of Fame? Schools give out awards and achievements to sports players and students. Keeping track of all these awards and achievements become tedious. Also, over time the information can become to large that displaying all of the information becomes a hard task to handle. With the ever growing digital age, this challenge is easy to handle with Livewire’s Sports Management Software. 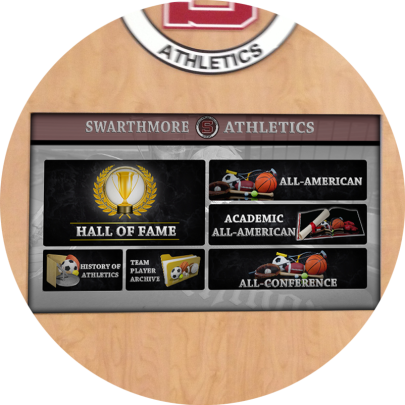 Interactive Digital Signs and Kiosks give universities, athletic organizations and sport facilities the ability to provide important information recognizing their sport and athletes. Digital Signs and Kiosks can automate & streamline all information in an organized fashion so it easy for patrons to search information on the sport or athlete. Livewire’s Enterprise solution can also provide vital virtual concierge functions such as way-finding, property maps, parking information, event schedules and more. We can customize our eConcierge® Enterprise software to suit any Digital Sign or Kiosk need your organization may have. 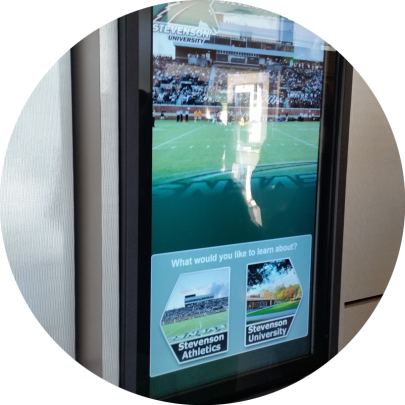 Interactive Digital Signs and Kiosks can help eliminate the hassle and waste of keeping paper guides and notifications updated which can lend to huge cost-savings in any industry, as these costs can escalate quickly. Livewire’s Enterprise CMS allows you to store a vast variety of data and update and publish real time to your interactive Digital Signs and Kiosks. 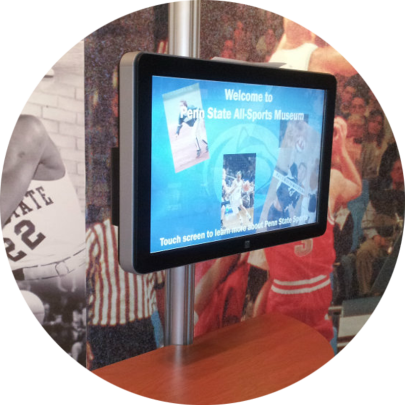 Digital Signs and Kiosks can be present in strategic locations such as sports museums, lobbies and visitor centers, anyplace you find a need. 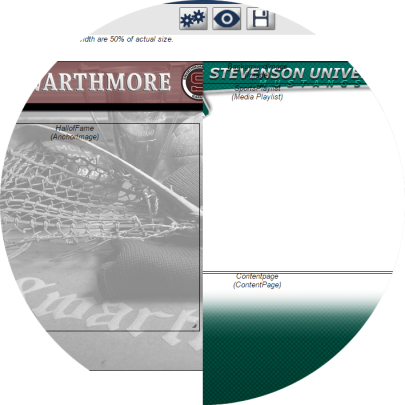 Check out our case studies of Stevenson University and Penn State University to see what we did for them. With the ever growing digital world, Livewire Digital can help provide a new and interactive way to showcase all your Sports Information. 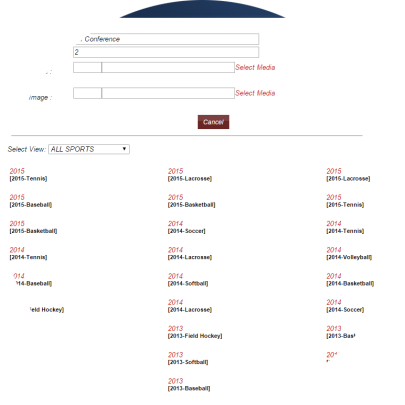 With the Sports Management Software, Livewire can showcase information about facilities, athletic achievements, sports history moments, and university information. Livewire provides the capability to showcase any awards or honors that the University may have. Livewire’s Administrator Sports Management Software is easy to use and manage. Weather you have 50 athletes or 50,000 athletes, Livewire has the capability to handle any amount of information. 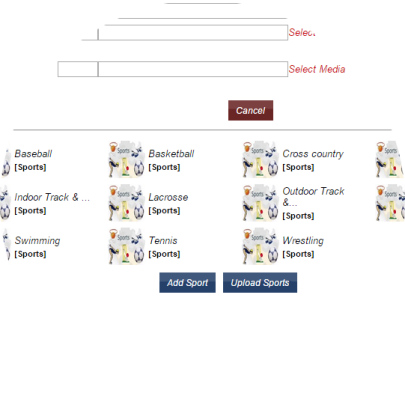 With Livewire’s Presentation Builder, we can customize each sports application to fit your needs. We handle portrait, landscape, large and small designs.